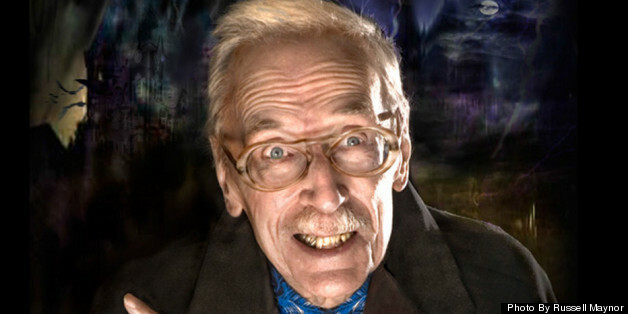 When Forrest J Ackerman was alive, he'd scoff at anyone who would claim they could speak to the dead. Now that he's dead, some people say he's speaking from the Great Beyond. Ackerman, who passed away in 2008, is a legend in the sci-fi community, for, among other things, coining the phrase "sci-fi." Steven Spielberg, George Lucas and Peter Jackson were among the avid readers of his influential Famous Monsters Of Filmland magazine. He was also co-creator of the popular comic book superheroine Vampirella. Ackerman was a skeptic in the supernatural. But now, some of his followers believe this dead man is trying to make contact with them. It all started shortly after his death, when an odd ink blot mysteriously appeared on a sheet of paper at the home of his friend, filmmaker Paul Davids. Davids had printed out the paper that included a list of business meetings. The ink on the paper was completely dry as he left the room. When he returned, he discovered a black ink blot had somehow covered a group of words, "Spoke to Joe Amodei." "I had no idea why these particular words were blacked out," Davids told The Huffington Post. "It made no sense to me until later, when I was researching Forry's editorial style and I found lots of examples of where he blacked out words so completely. I have found 15 examples of where Forry found a name within a name or a word within a word as being a hidden word to make a pun or a point out of it." Davids believes this was the first in a series of unexplained instances where Ackerman was trying to communicate with him. He eventually involved several university scientists to try to explain these phenomena explored in "The Life After Death Project," a documentary that premiered this week on the Syfy channel. Some might claim Davids' work is more akin to the Syfy channel's fantasy-based programming, perhaps during hour 72 of a "Twilight Zone" marathon. But Davids is dead serious. "I first met Forry in 1964 and we were friends for more than 40 years," said Davids, producer-director of "The Life After Death Project." "Forry professed total skepticism and atheism. He had zero belief in the paranormal, didn't believe there was an afterlife, certainly didn't believe in God and didn't subscribe to any religion." When Davids experienced the ink blot episode in 2009, it led him on a quest to determine if Ackerman's spirit was somehow responsible. "I felt what had happened was impossible. There was no one in the house but me, I hadn't done it, how could it have happened?" Davids had the ink stain examined by Jay Siegel, chairman of the chemistry department at the University of Indiana. "I've been practicing chemistry over 30 years, and when you learn science, you learn to be skeptical of things. You learn to require data and evidence in order to make statements and conclusions that you can rely on," Siegel discusses in the documentary. "Sometimes there are circumstances which simply can't be explained by your five senses or by all of the tools of science, and I think there are some aspects of that in this situation that give one pause. I would say disturbing, a bit, only because I'm a scientist." The strange ink blot was also examined by John Allison, a chemistry professor and expert on inks, paints and solvents at The College of New Jersey. "How it was created in such a uniform way, we haven't been able to reproduce that," Allison said of his analysis. "I don't know how to recreate this. I couldn't do it. In forensics, you try to find explanations, and we usually don't resort to interactions or intervention from someone from beyond the grave, but I can't rule that out." Was it the spirit of Ackerman that somehow added the unexplained ink to the document, as a way of making his presence known? The whole idea of life after death and the question of whether humans survive physical death is one of those ageless and controversial topics that's difficult to know for certain. We've all heard stories of ghostly encounters with entities that are claimed to be restless spirits. But is it proof that our consciousness or spirit continues to live after the body gives out? At the University of Arizona, Gary Schwartz directs the Laboratory For Advances In Consciousness And Health. After 15 years investigating the possibility of life after death, he's working on ways of developing actual scientific tools that could herald a breakthrough in communications between the living and the dead. That's a big leap, and one that skeptics and debunkers of the subject will undoubtedly sink their teeth into. 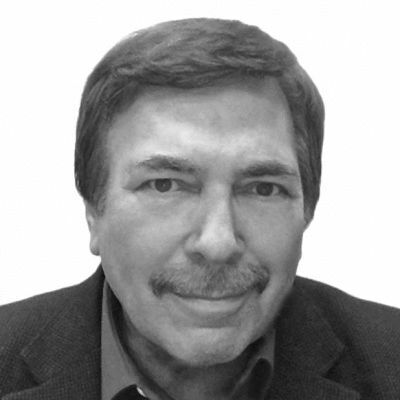 "First of all, anyone who will discount physical evidence that has been independently evaluated by forensic experts, or who will dismiss research mediums, conducted under conditions that rule out fraud and cold reading -- anyone who discounts evidence using state of the art technology under controlled conditions is essentially anti-science. That is just biased dismissal of real data," Schwartz -- formerly on the faculties of Harvard and Yale, and currently a professor of psychology, medicine, neurology, psychiatry and surgery -- told HuffPost. Schwartz has experimented with something called the Silicon Photomultiplier System, technology that detects single photons of light in pitch black. "It's used in biomedical imaging and in biochemistry devices. The system is placed within a box, within a box, within a box, so it's truly light-tight. "Then what you do is invite specific spirits -- I affectionately refer to them as departed hypothesized co-investigators -- and you look to see whether the number of photons counted, per unit period of time, is greater when a spirit is invited into the chamber versus controls, and that's what we found." Schwartz explained that they increased the control part of the experiments by setting up a sophisticated automated program that ran the system at night when no one was in the laboratory. "At four o'clock in the afternoon, the experimenter would read a standard script which would speak to [invited spirits], letting them know that the experiment would be running in the lab and asking them to follow instructions on the large computer screen: 'Please show up at the laboratory at 11 o'clock at night. Thank you very much. I'll pick up the data in the morning.'" The researchers did this many times over many nights. "Much to my amazement, sure enough, the data clearly indicated that there was increased structure -- patterns of light -- in the spirit-present trials compared to the pre-baselines or the post-baselines." In 2011, Schwartz submitted a paper to the scientific journal Explore, where "it was peer-reviewed and critically analyzed and it passed muster. And so the question is how do you explain those data?" Schwartz is featured in Davids' "The Life After Death Project," and believes the evidence presented in it strongly suggests that Ackerman's spirit is still "alive and well." "This isn't just honoring the life of Ackerman, but it's the first-ever collection of evidence from a single, formerly physical person ever chronicled with the totality of the evidence as convincing as any single case I've ever heard of in the history of this work." 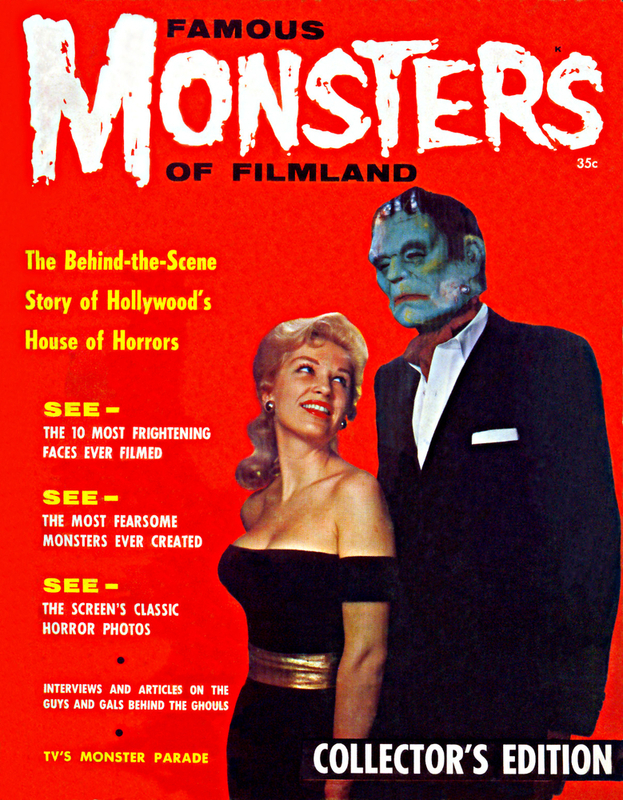 This is the cover of the premiere issue of Famous Monsters of Filmland from 1958, which was co-founded by Forrest J Ackerman.